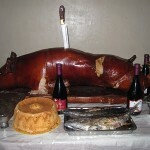 The mainstay of any Filipino celebration—lechon! Christmas is very important for Filipinos. This is a time of giving, sharing, and being together with the family. As early as September, Filipinos would already start their Christmas shopping for decorations and gifts. They would even think of what dishes to prepare for Christmas! 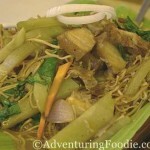 Filipinos are also known to be food lovers! Here are some of the most popular Christmas dishes that Filipinos prepare for the season. This certainly remains the Filipino favorite and is present in almost all occasions (except for those whose religion forbid them to eat pork). It is pig roasted over charcoal; the end result is pork with a very crispy skin and tender meat. This is also an expensive dish, but something that most families save up for. This has become a Christmas symbol in a Filipino household. 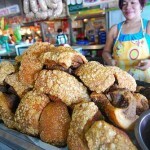 The popular kind is the ball sized ham that is often fried or baked. This is a bulk of pork that is sweetened by honey and pineapple. In some families, palma ham is also used. 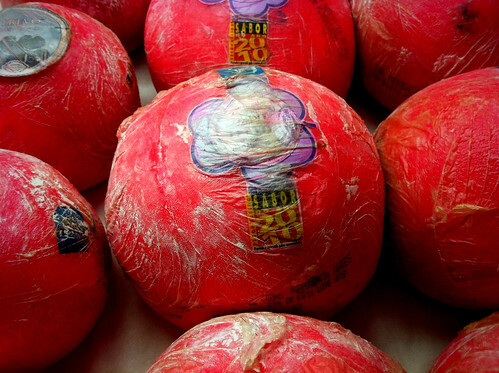 Queso de bola is always present during Christmas. Popular as another symbol of Christmas, this is Dutch cheese covered in red wax. This also goes well with ham and bread. Since Christmas season is known to be the coldest in the Philippines, drinking a cup of hot chocolate comforts most Filipinos. This is usually served after dinner while eating dessert. This is also known as stained glass dessert, because of the colorful gelatin mixed with cream. Leche flan is another sweet treat that Filipinos love. 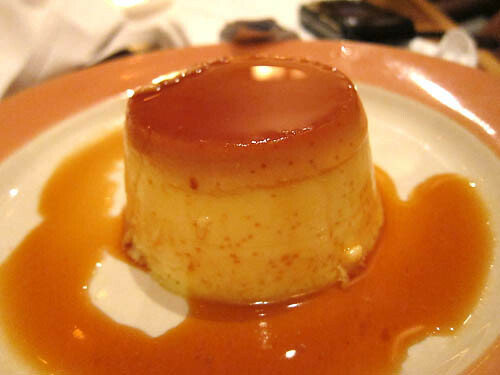 This is Caramel Custard made of eggs and milk, a favorite Filipino dessert, showing again how much we love sweets! People may see some vendors outside churches who sell these. This is a favorite during the Christmas season and is best served hot and newly roasted. Sometimes, it’s the peeling of chestnuts that makes it more enjoyable to eat. A dining table during Christmas eve is not complete without fruits on it. It has been an ongoing tradition in the Philippines to serve fruits on Christmas and New Year’s day. Most families also serve fruit salad, or fruit cake, to give it a delicious variation. 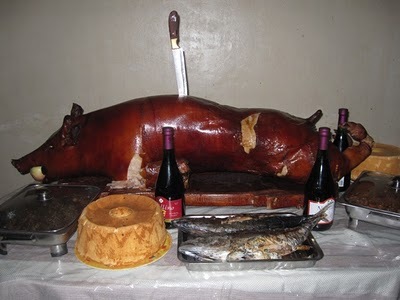 These are common dishes served on a Filipino table during Christmas. 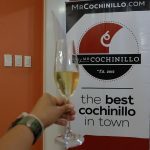 Aside from food, though, what matters most for Filipinos is not only how they share these yummy meals on the table, but the thought that they are with their loved ones on this very special occasion.